I can tell they are good friends.By the way,what are these? I can see zipper at side which mean they are container.But for what?Are these yours? Did you get them when you were kid? Many question come up on my mind. I will draw them when I draw kid's room next time!!! Mari: I wish they were mine! They are tiny suitcases for children. 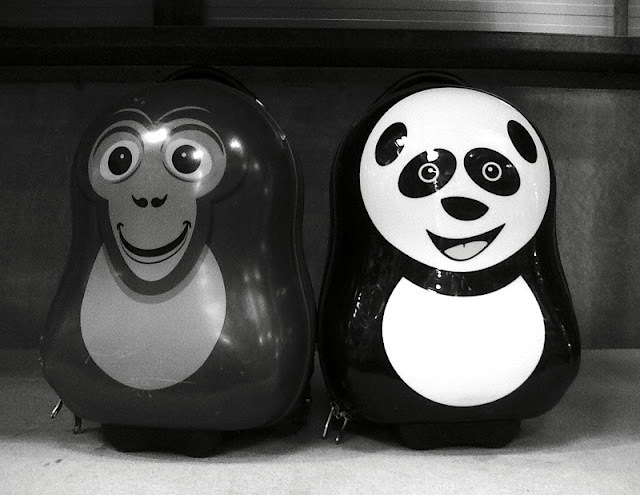 I saw them in a shop and fell in love - adults never get fun luggage, we get 'refined' luggage instead.